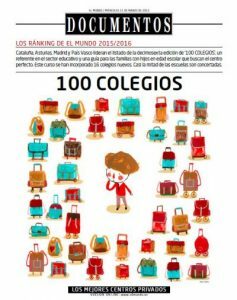 Ranking of 100 best schools in Spain: Since the year 2000, when the ranking started as an annual suplement of ‘El mundo’ newspaper with the purpose of making it easier for parents to choose of center that matches their expectations. We had the privilege to be included every year in the top 100. The ranking is based in 27 aspects categorized into 3 main areas (teaching model, educational offer and material resources) and it studies 1.000 centers finally choosing only the best 100. Our curriculum, over this years would not have been been possible without the permanent attitude of improvement that inspires the Educational Project of all the Luther King Centers. A Project like ours can only be consolidated when all the people who believe in it make it true course after course. Ambassador Save The Children Center – Since 2015, one of our Centers has been recognized as the “Center Ambassador for the Defense and Promotion of Children’s Rights” by Save the Children. A big part of the academic success of our students is a consequence of their effort capacity, perseverance and overcoming. Our Educational Project is ambitious regarding the academic level. We want to offer our students the necessary motivation to set higher objectives each day which allow them to grow in the cognitive, personal and social fields. The most common indicator of the academic level usually is the percentage of the students that pass the PAU test. Over the last years, 100% of our students have passed this test with more than 8 points out of 10. 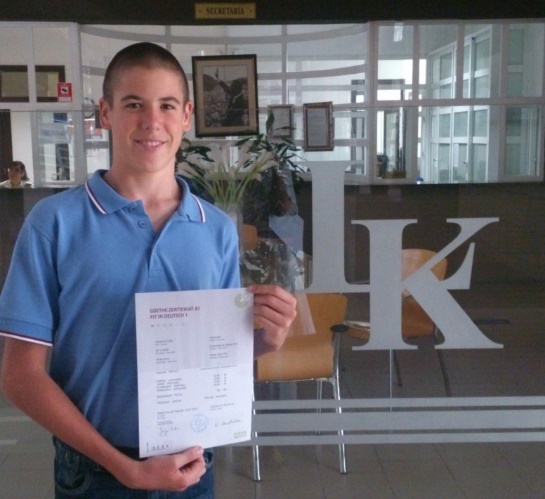 In the external English tests to obtain different ESOL Cambridge certificates (according to levels from primary 6th to 2nd bachillerato) and in German tests to obtain the FIT Certificate from Goethe Institut (High School) all the students obtained satisfactory results (100% of then passed the tests). Extraordinary Award of Bachillerato in the district of the ULL (University of La Laguna). Excellence Award given by the ULL (best 30 marks). Educational Excellence Award given by Disa Fundation. 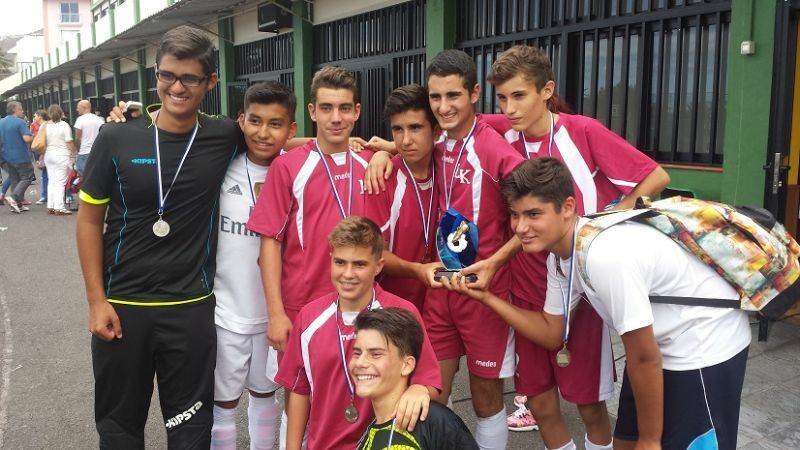 Math Olimpics – Since year 2003 we have had 22 students classified to represent the Canary Islands in he national stage, where a bronze medal was earned. Physics Olimpics – since year 2003 we have got 15 students classified in the national stage. Chemistry Olimpics – We have participated in 11 of the 19 olimpic editions, getting 11 students classified to represent the Canary Islands in the national stage. They earned 2 silver and 2 bronze medals. Economy Olimpics – 3 gold medas in the regional stage and clasification for the national stage. Biology Olimpics – silver medal in the international stage. Award Country of the Students (País de los Estudiantes)- Since the contest started we have been always classified in the national stage and in the top 3 schools of the Canary Islands, obteining a second and third position in the national level (Secondary School and Bachillerato). Photography contest – First classified for the national stage of the XV Hispanic-american spelling contest. “matemático.es” – 14 classified out of the 50 best of Spain. Narrative Award in the Stories contest “Pedro García Cabrera”. Young talents contest of Coca-Cola (Secondary School). Awards in Christmas cards Caja Siete contest. Through sport values and habilities are encouraged in a healthy and fun way. The practice of sports since young ages provides an opportunity to interact with other participants, attaining integration levels that almost no other activity can achieve. We are aware of its importance , since the birth of our Institution we have encouraged sports. At that time the Luther King center of La Laguna owned the first covered sports pavilion in the city and soon became the headquarters for C.B. Canarias. Therefore the Luther King basketball follows a special trajectory full of great successes ever since the beginning. 2nd place in the Canarian athletics championship in pre-mini. 2nd and 3rd marks in the island’s gymnastics championship. Champions and 2nd place of the Canary Islands in basketball in male and female categories. selected students for the Canarian Selection of Basketball.